Haines City is much more than a small town lined with orange groves. On a typical day in Haines City, you will find the locals starting their day off at the farmer’s market downtown, where they get coffee and fresh produce. 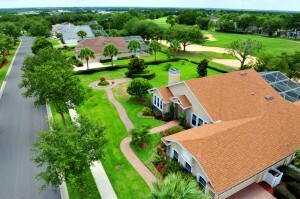 For brunch, lots of residents love to eat at the Southern Dunes Golf and Country Club clubhouse. If you get a sweet tooth after lunch, head over to Lang’s for a slice of grapefruit pie or ice cream. 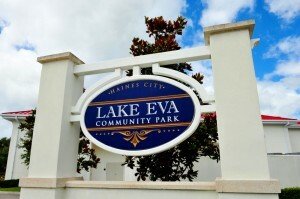 After savoring your pie, you might want to stop by Lake Eva for some exercise and take a walk around the park and along the lake. Head downtown and enjoy the historic side of Haines City while stopping by a few shops. If you are looking for dinner with a waterfront view, head to The Port Steak & Seafood Restaurant for some great seafood on the lake. Haines City is known as the “Heart of Florida” and is located in what we locals call “Four Corners,” where Lake, Orange, Osceola and Polk counties collide. Haines City gives residents easy access to one of Florida’s most popular tourist destinations- Orlando – which is only 37 miles away. The City of Haines City built a new banquet hall, renovated its local park and rebuilt its aquatic center in 2009. 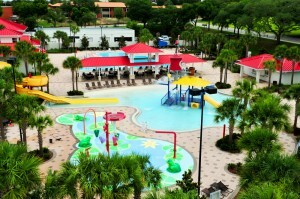 Residents love to go to the aquatic center, which includes a children’s water play area, a water slide and a pool snack bar. Each year, Haines City hosts the IRONMAN 70.3 in May where athletes from all around the world come to participate in the IRONMAN 70.3 Florida competition. The athletes train all year for this competition that is a test of athletes’ swimming, biking and running endurance. Residents from throughout Polk County come to Haines City on the Fourth of July for the city’s signature event, Thunder on the Ridge. The event includes a concert featuring headlining country artists and a massive fireworks display. Some country artists who have performed here in the past include Craig Morgan, Joe Nichols and John Michael Montgomery. If you have a boat, launch out onto Lake Eva to get the best view of the fireworks. There are also activities for children, a watermelon-eating contest, and food vendors. Parking is always tight, so you will want to get to Lake Eva Park early to find the best spot. Glitter Glisten and Snow is another annual event that is held in downtown Haines City before the holiday season where there is something for everyone to enjoy. Glitter Glisten and Snow features holiday entertainment, a gingerbread house decorating competition, food vendors and a snow area. There are a variety of things for people who enjoy the outdoors to do. Haines City is just minutes away from the Chain of Lakes where locals enjoy boating, fishing and other water sports. Golf lovers can appreciate the golf courses located in Haines City, including Southern Dunes Golf and Country Club and Grenelefe Golf & Tennis Resort where notable tennis players Jennifer Capriati and Venus and Serena Williams trained at a young age. Haines City is a town with a history that dates back to 1885. Older buildings and the train station are still standing in the center of downtown where you can also find restaurants and shopping opportunities. Early settlers planted orange groves that lead to citrus processing being the city’s main industry. Manny’s Chophouse– family run steakhouse known for its Manny’s Sirloin Steak and bottomless salad bowl. Haines City is the original location of Manny’s Chophouse, and since opening, it has opened in three other locations in Polk County. Johnny’s Deli– never disappoints the locals with its quaint, home-style atmosphere. Johnny’s offers freshly cut deli sandwiches, fries and a drink for an affordable price. Make sure you try the Philly cheesesteak with a side of sweet potato fries. Lang Sun Country Groves Inc.– opened in 1951 and passed down through generations. The family’s goal was to produce the sweetest and juiciest citrus in the state of Florida. Stop by Lang’s and sit down for a meal in the café or shop in the gift shop for some “old Florida style” gifts. La Fiesta Mexicana– a local favorite authentic Mexican restaurant. La Fiesta serves fantastic chips and salsa and enchiladas. If you are up for trying something new, try the fried ice cream. The Port Steak & Seafood Restaurant– Take pleasure in the great view of Lake Hatchineha and fun atmosphere. The Port offers a wide-ranging selection of seafood dishes including oysters and clams. For those days when you’re all about a home-cooked meal, plan them around a Wednesday trip to the Farmer’s Market. The market is held every week in downtown Haines City and offers fresh vegetables, fruits and other food items. Welcome to the Heart of Florida. You’re going to love it here. I hope I have enticed you to the Heart of the Sunshine State of Haines City Florida. If you are looking for a home, perhaps a vacation home or a winter home – click on the icon right here below to see what’s in store for you.